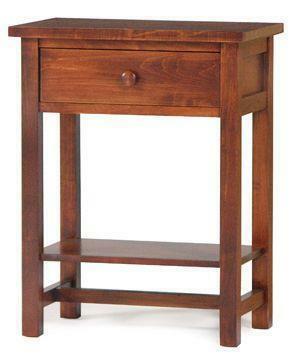 Crafted by hand from solid hardwood and finished in a way that beautifully embodies the heirloom quality moniker, our Amish Made Shaker Night Stands offer the perfect compliment to any bedside. The simple Shaker style emphasizes utility over ornate design, producing a clean look that lets the natural grain in the hardwood take center stage. Easy to incorporate into a variety of different bedroom styles, the straight lines and flat panels have the right balance of classic and contemporary!